Not the usual way a tale of horror would start, but here we are. 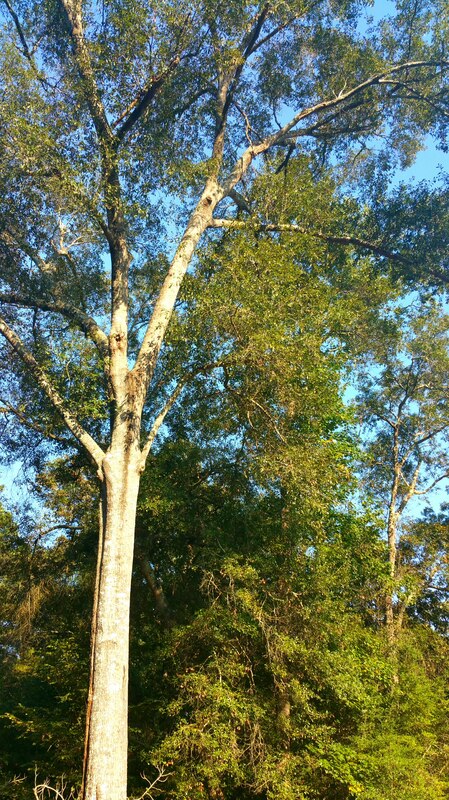 It was a beautiful October day, and I had errands to run. My folks had left to meet my sibling for lunch, and I needed to get my car inspected and a tire, that was getting light on the tread, replaced. The girls were loose, and the dogs were out in the yard with them. Everyone was getting along so well and it was such a fantastic day, I decided to leave them all out there together. What could go wrong? I come home, and go out back and check on everyone. Everything seemed fine, until I checked my plants. One plant was bare, and another… and another… AND ANOTHER. 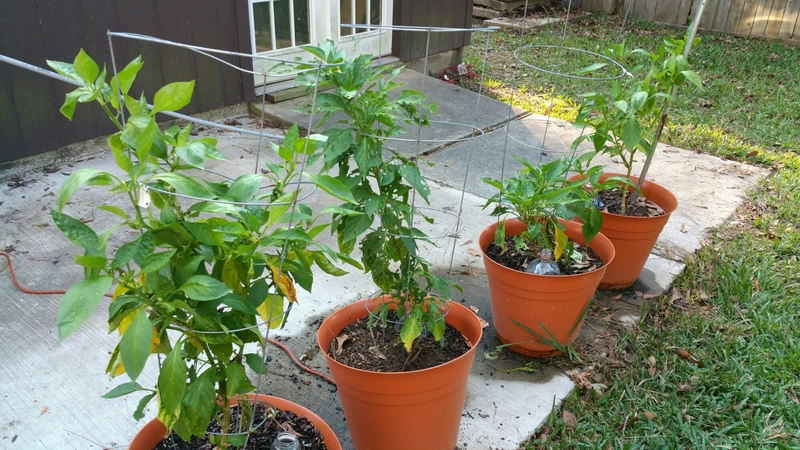 Four of the five pepper plants were stripped of all their fruits. A total of about 15 peppers missing. So, I go back outside. Only one plant escaped the heist. 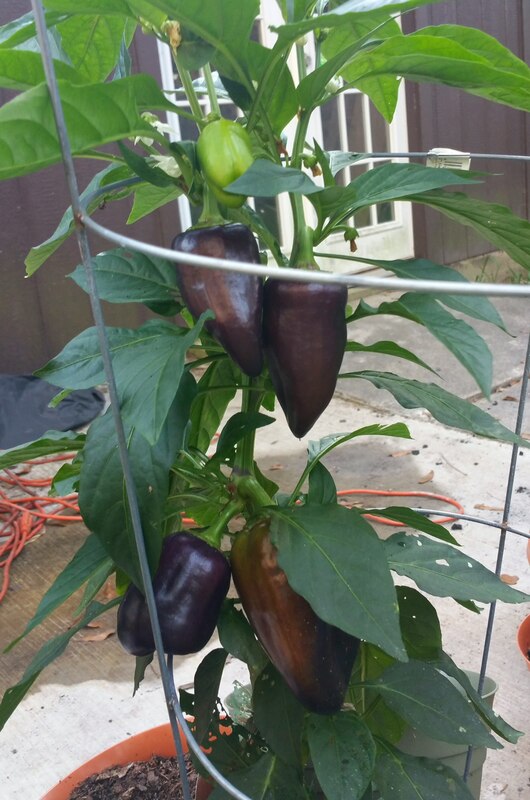 Only 6 peppers of the nearly two dozen that were ripening remain. 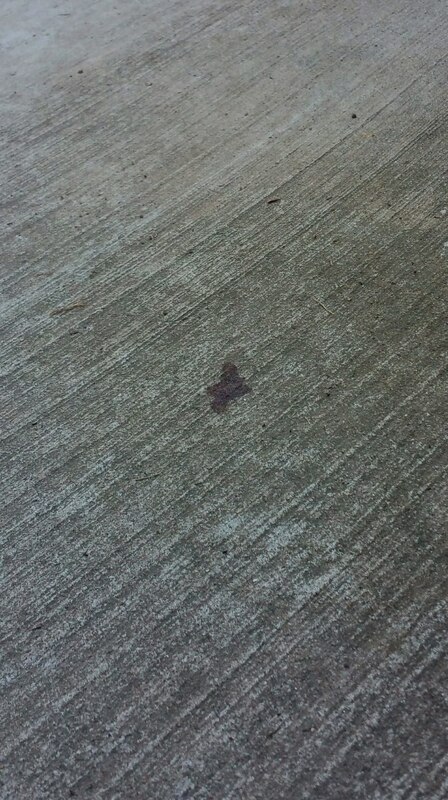 Then I saw the blood trail. 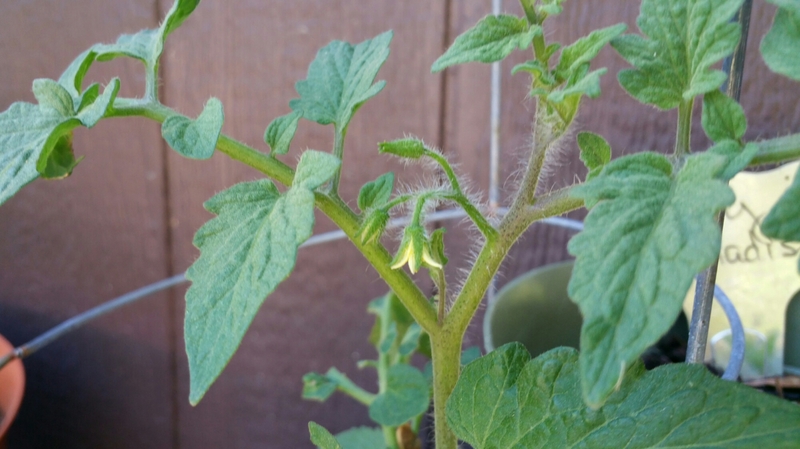 It started near my pepper plants, small drops looking like a dog foot, and ended with big, splashy splotches near the back door. All were spaced about three feet apart. The entry mat was covered in blood, but no fur, no body. I checked Sampson. No blood anywhere or wounds. My folks checked their dog with the same results. I checked the girls. They were also unharmed. My father was intrigued. Checking his workshop for anything missing. We thought we found blood on the workshop floor. No tools missing, but this prompted a call to the local police. I am going to add here that we would not have called the police but for the fact we thought someone had broken into the workshop. I am not one to waste law enforcement’ precious time for $40 worth of peppers. Once the officer arrived, he began to search the yard for clues. 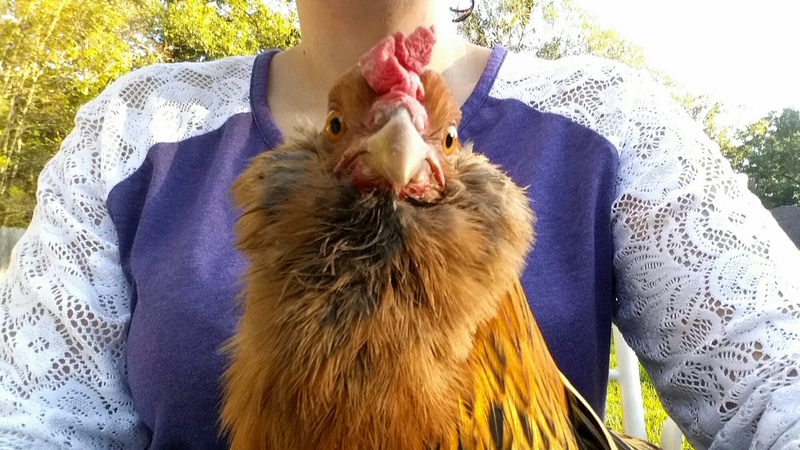 Cookie wasn’t having this strange human in her yard. She stalked him everywhere, cussing up a storm. I had to carry her to keep her from harassing the poor man, who was just trying to solve the mystery of the missing peppers,and the bloody workshop. Alas, there was no solution. The mystery remains unsolved. We find it strange that so many peppers went missing all at once. The officer also thought the “blood” on the workshop floor may have been another substance,like oil or tar. I have had garden heists happen before. Once someone stole about 5 ten pound bags of pecans I had gathered from our trees. 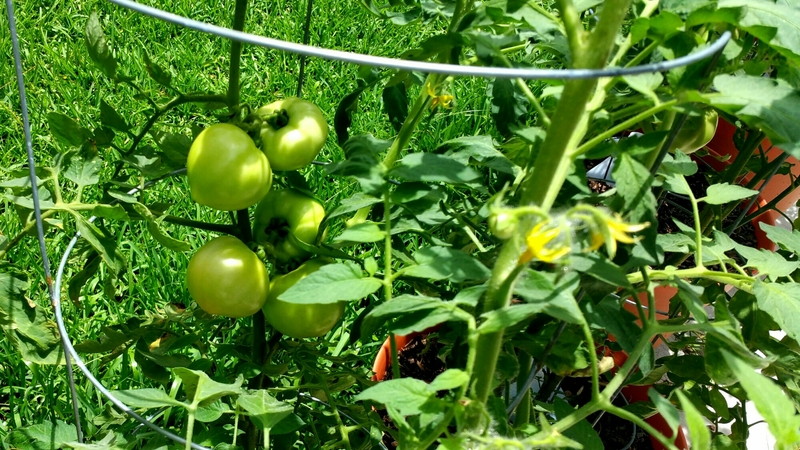 Another time someone stripped all my tomato plants of their ripe fruit during the night. Yet another time birds plucked all my plants of strawberries. Every time is a disappointment. To work so hard to bring fresh produce to the table, only to have someone or something steal it away makes me a little frustrated. This is one of the troubles of gardening, though. It happens. The officer suggested it might have been a deer. Though it is not unheard of, a deer jumping a six-foot fence, it is unlikely. That and if the dogs had chased the deer to the back porch, I am certain it would have been and mess. There was nothing smashed or overturned. The officer also suggested it could have been a raccoon. In the middle of the day, though? Also to steal that many peppers? Last I heard, racoons don’t have pockets. Maybe it was squirrels. A very concerted effort by a roving gang of hoodlum squirrels. It would had to be very organized, as the dogs are very serious about the squirrel patrol. Many a squirrel has nearly lost their life setting foot on the fence. As of this posting, the last plant has been nearly stripped. Only two peppers remain. I am pretty disappointed at this turn of events. 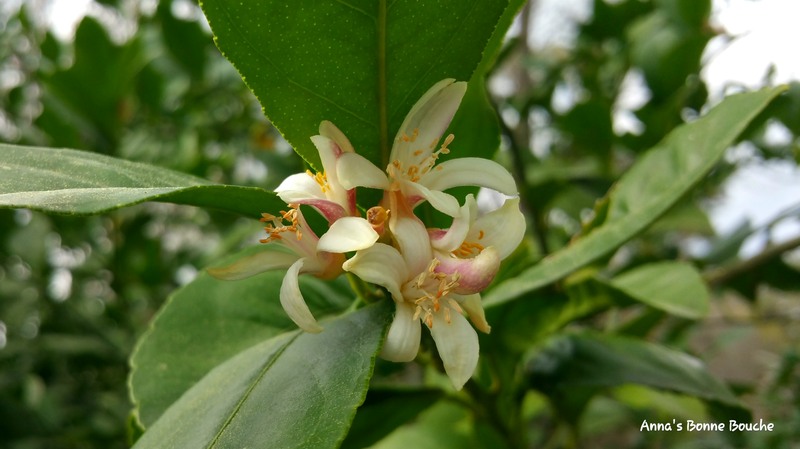 It is too late in the season, now, to hope for more buds to develop. My husband suggested we wrap the remaining plant in chicken wire, and we may. Saving those last two peppers has become as point of honor! This has given me thoughts of how to better protect my plants next year. 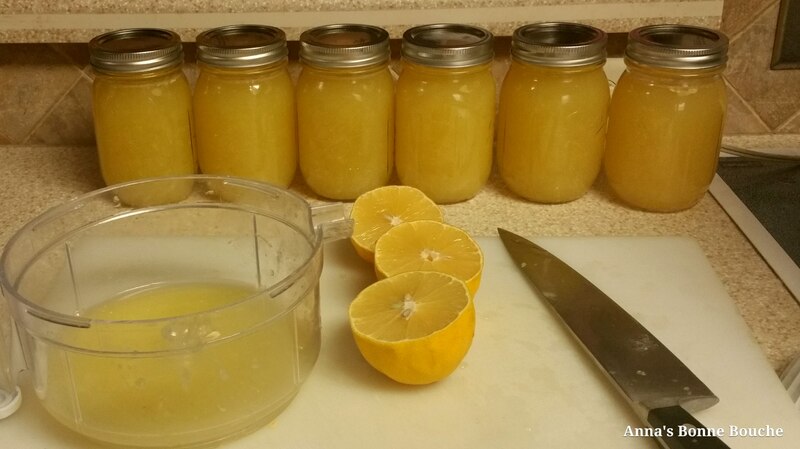 I have been scouring Pinterest and the Internet for some good ideas on how to do just that. Until then, I may just pout a bit over the poached peppers, and plot my revenge on the thief. 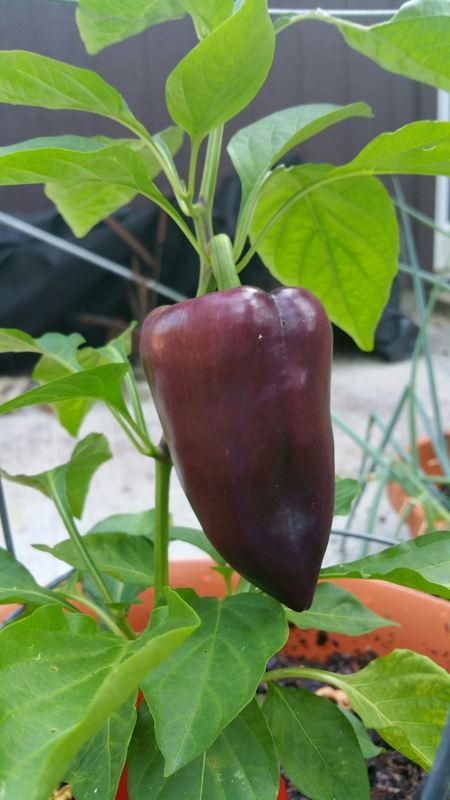 For now, the Curious Case of the Capsicum Caper will just remain a mystery. 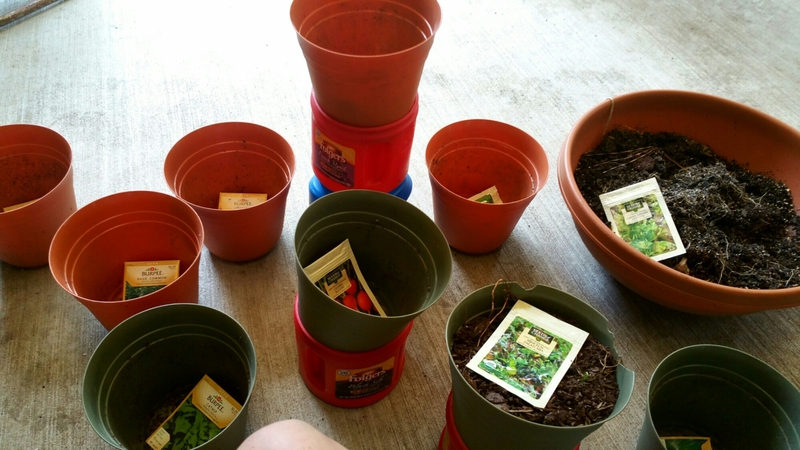 It was late in September when I got around to planting some fall seeds. 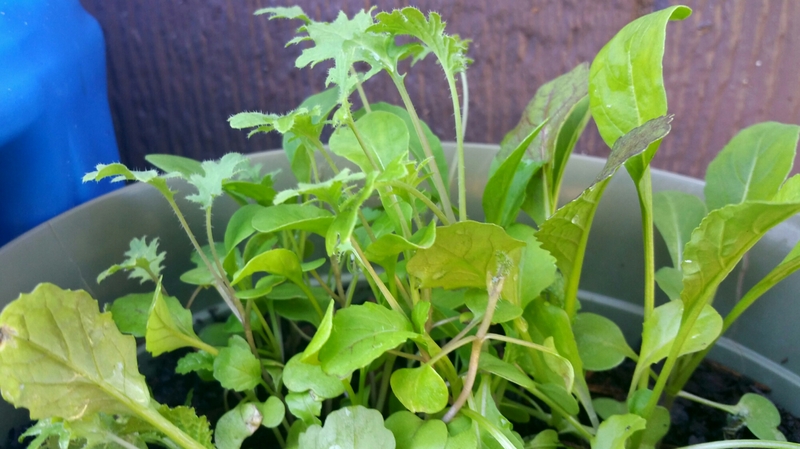 I had packets of cherry radishes, leaf and mesclun lettuces, and some mixed greens. 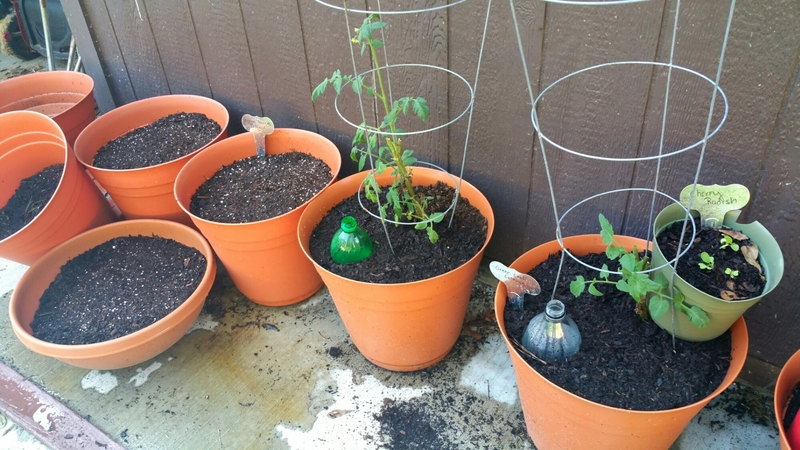 I also planted dill and rosemary again, Spearmint, catnip, oregano, sage, and parsley. I planted green onions again. 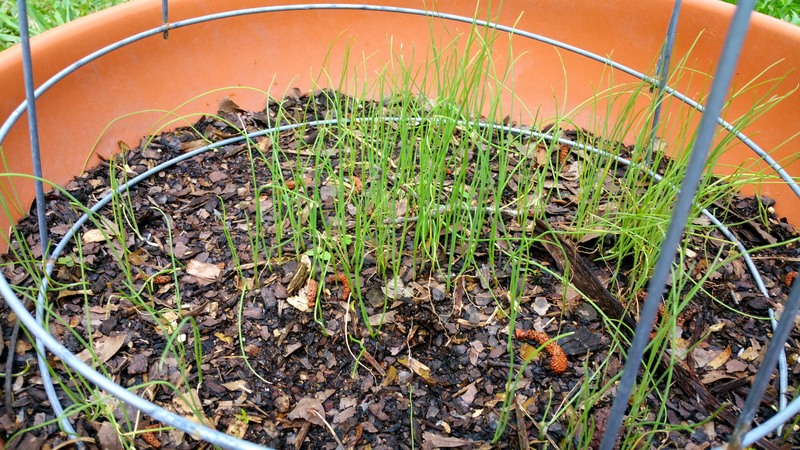 I have a few pictures of my spring onions, but will not share them. 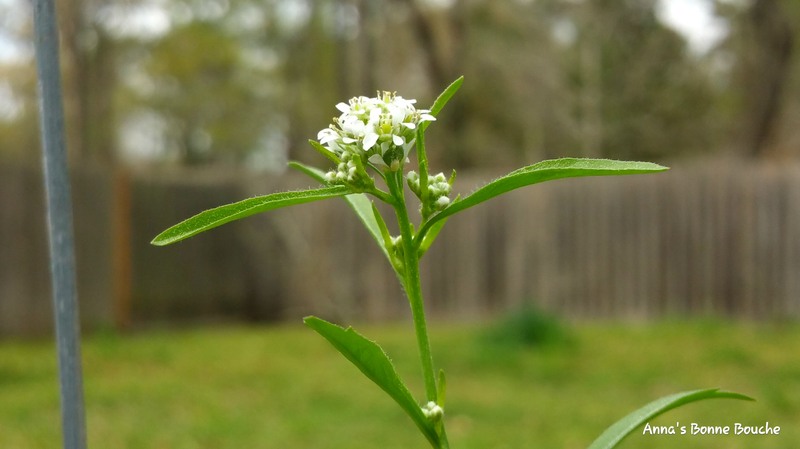 They exploded over the pot in a tangle of long, thick stalks. They were a product of not thinning the sprouts. It didn’t make for pretty pictures. They tasted fantastic, though. 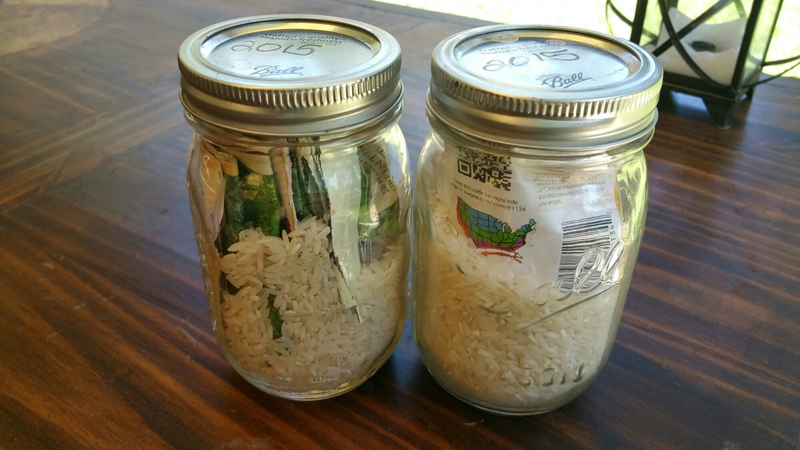 I had green onions, a common staple in my meals, all summer long from that one squatty 36″ diameter pot. They are done though. I should have planted more, sooner. I hope they sprout and grow well before it gets too cold and dark for them. I pulled up all my bush steak tomato and one patio princess.. They were also done. The remaining four patio princess plants underwent massive pruning. Only leaving any vine carrying fruit, blossoms or healthy, green leaves. My five pepper plants are producing wonderfully right now. All five really ramped it up in September and October. 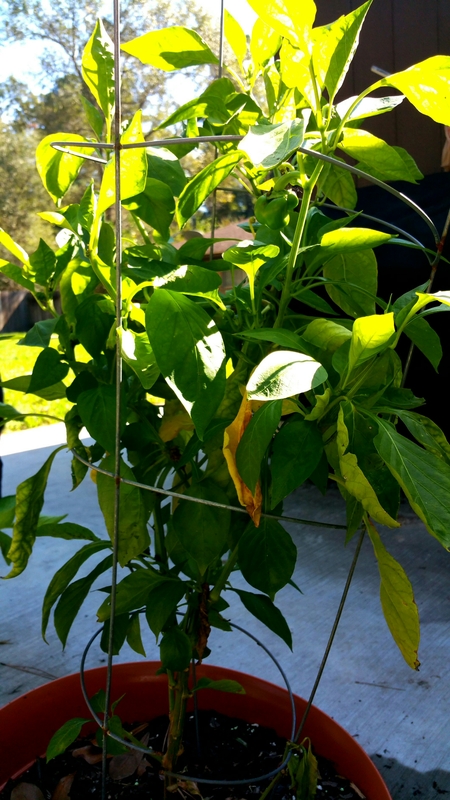 I counted at least 30 peppers emerging or ripening. Well, that is before the unfortunate staking incident. I don’t wanna talk about it other than it cost me 8 peppers. 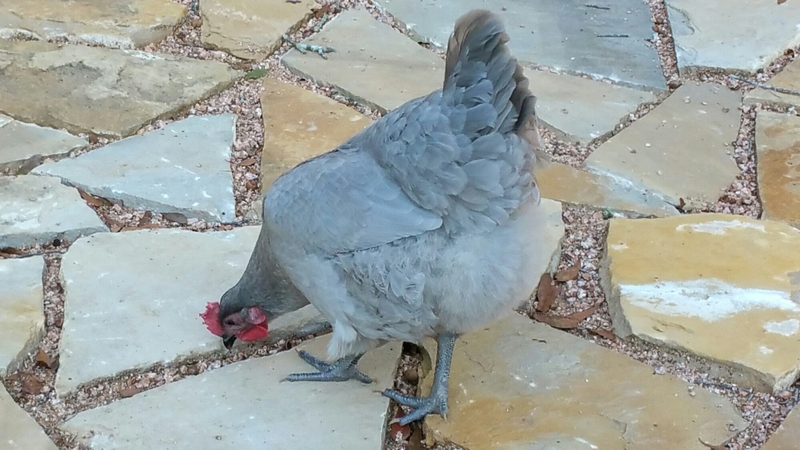 There was also the chickens playing tether/pepper ball incident. Lost 3 then. They are still blossoming, though. I hope to make up some losses. RIP carnival peppers. May you contribute to my compost pile. The peppers have done so well the last couple months. Though the girls do a great job of keeping bugs out of the yard and garden, we have been suffering heavy predation from an unidentified pest. I could never find the offending muncher. It chewed two plants pretty hard, then just stopped. It was a mystery, but I just chalked it up to the girls finding it for me. 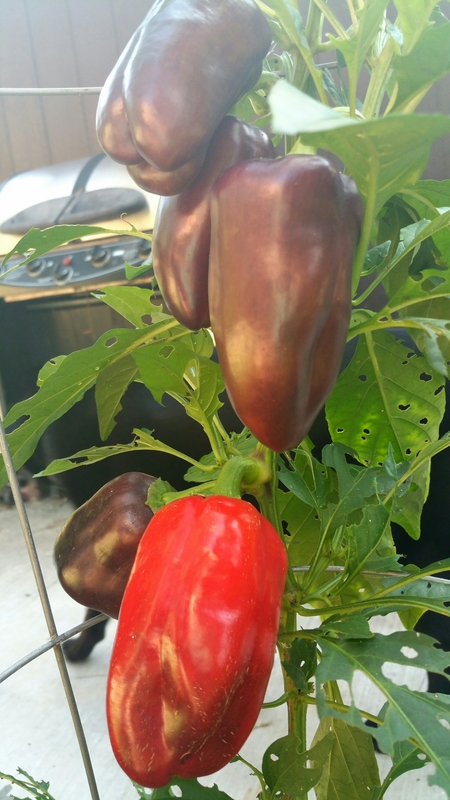 There are many big peppers ripening. I look forward to not paying the premium at the store for that spicy flavor I like in my dinners. We eat plenty of salad here and my mother enjoys radishes. 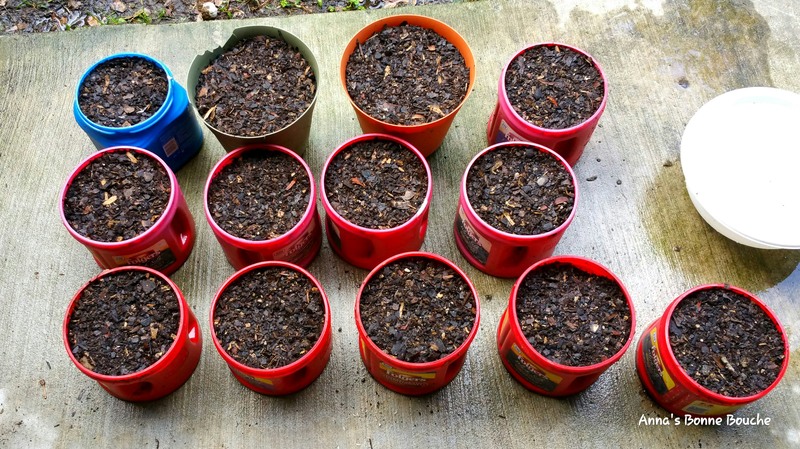 I broke out the handy coffee cans and starter pots . 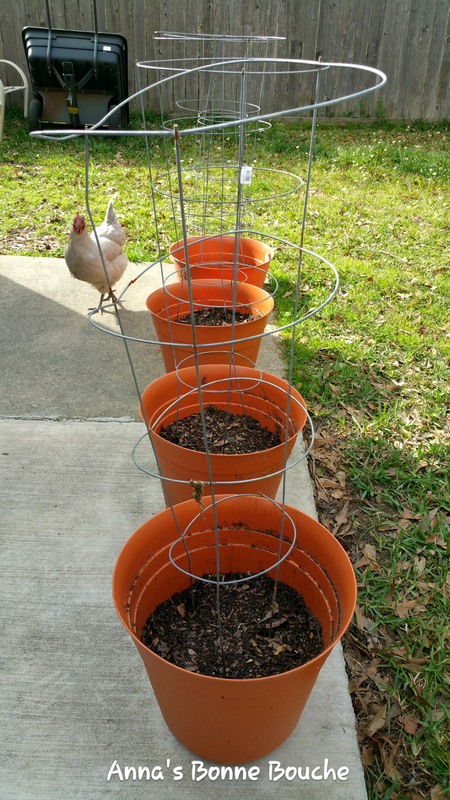 I also washed the big pots from the recently vacated tomato plants, filled with good dirt, seeded with lettuce,and made a little tiered garden stand. 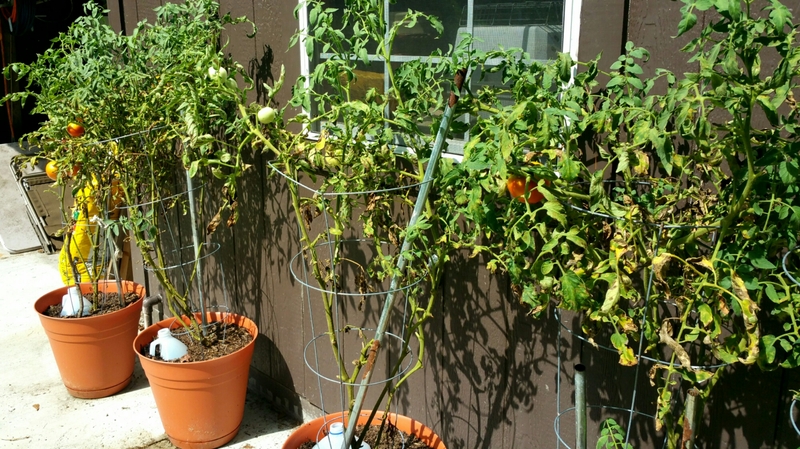 Two of my massively pruned patio princess tomato plants sit next to pots of tower lettuce and green onions. They had really burned in the summer heat. I trimmed them back to only the small green, heathy parts at the bottom. 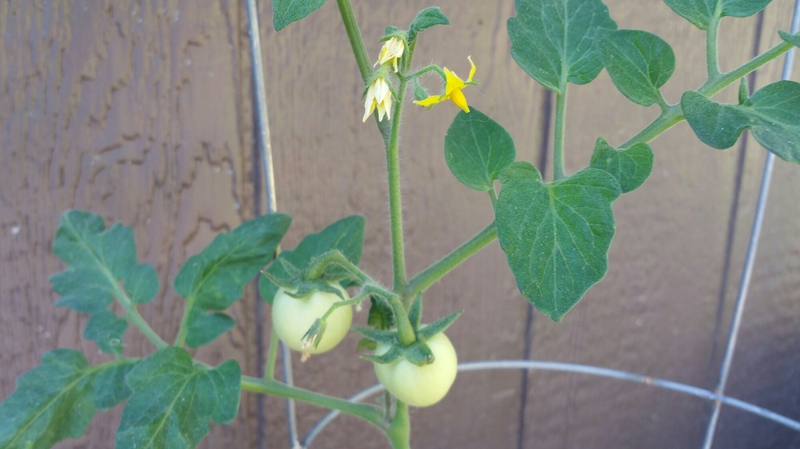 I was surprised when they suddenly bloomed and started making fruit. 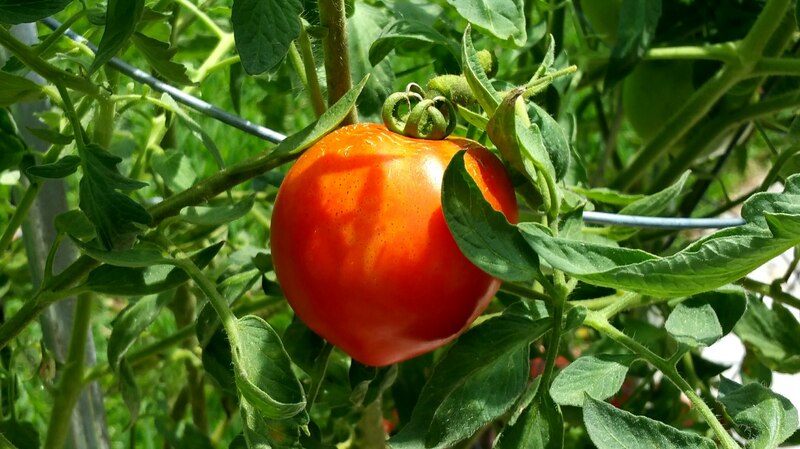 I hope to see more of those tasty tomatoes I have been enjoying the last two months in future sauces and salads, if just for a little while longer. 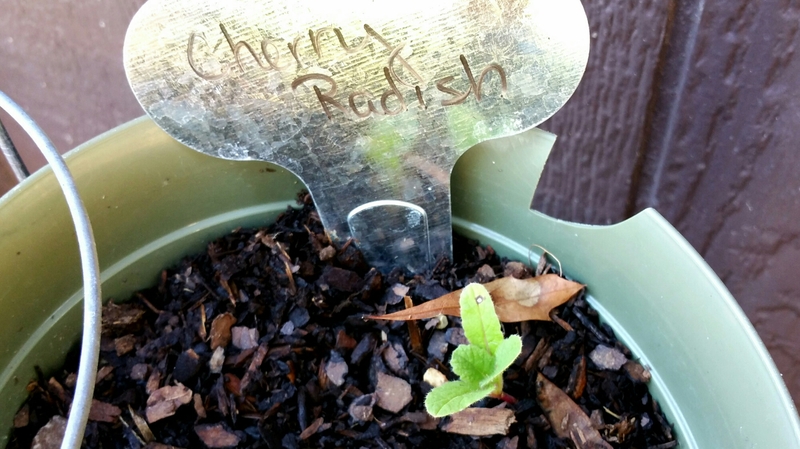 The radishes were the first to reach for the sun. 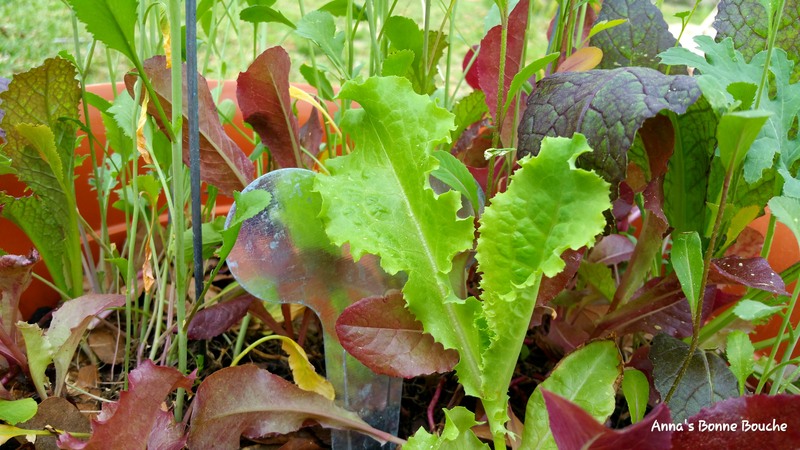 Then the mixed baby lettuces. I was really glad to see those. We eat plenty of salad here. I like a good mixed lettuce salad. You know who also loves lettuce? This girl! Attack of the greedy Poo-Princesses resulted in so many casualties. I turned my back for a few minutes and I lost half the lettuce sprouts, most of the herbs and the onions were dug up. RIP little sprouts. May you contribute to delicious eggs. I broke out my seed packets again. And did more planting. Rearranging all the pots was a task. It has been unsuccessful. 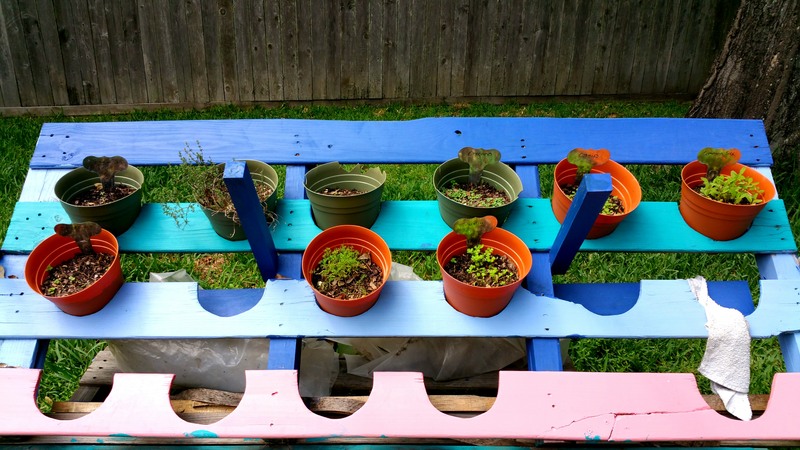 It has however, inspired a pallet project to keep the pots higher, and more out of reach from a hungry hen. More on that project in a later post, though. The herb garden is sprouting so nicely! The thyme and parsley have been assaulted a couple of times, but carry on. Soon these pots will be up higher and be lest tempting to unwanted browsers. My houseplants look amazing! It is such a switch from how they looked last May when we moved. 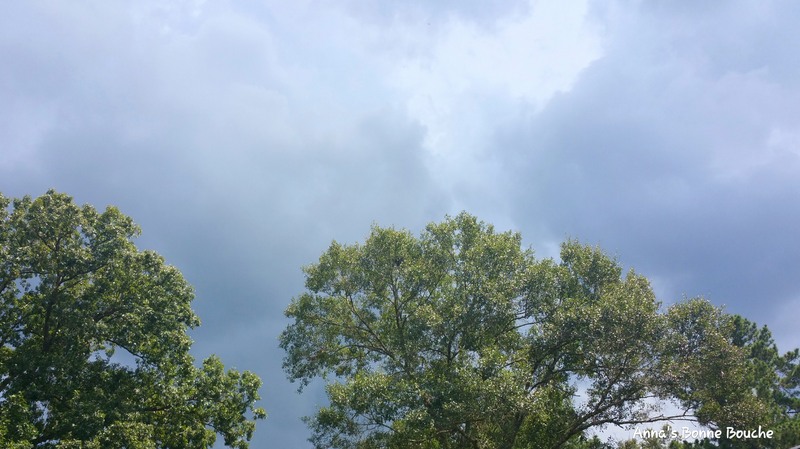 The country air, abundant rain and sunshine looks to agree with them. I have some little friends in the garden, also. This little guy had been hanging out lately. 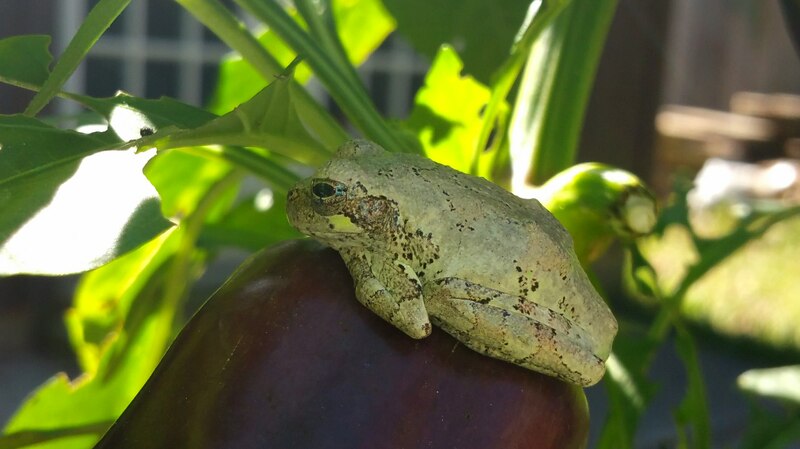 His appearance was about the time the criminal creature that was assaulting my pepper plants disappeared. Could it be my garden hero? Not sure. He sure is cute, though. So he can stay. Well, that is as long as it can stay away from the chickens. They are eating machines. I had high hopes for this year’s garden. Warm, springtime weather rolls in here a little earlier than the date marked in our calendar. It was February and time to sow some seeds. All the packing and sorting in my garage uncovered my garden pots, seed starting pots, and a big bag of plastic bottles I had saved over the last year. Covered in dust and cobwebs, I found my garden supplies exactly where I dumped them in disgust last August, after losing my entire garden in the battle against white fly and summer heat. I was going to try container gardening again. This time would be different. 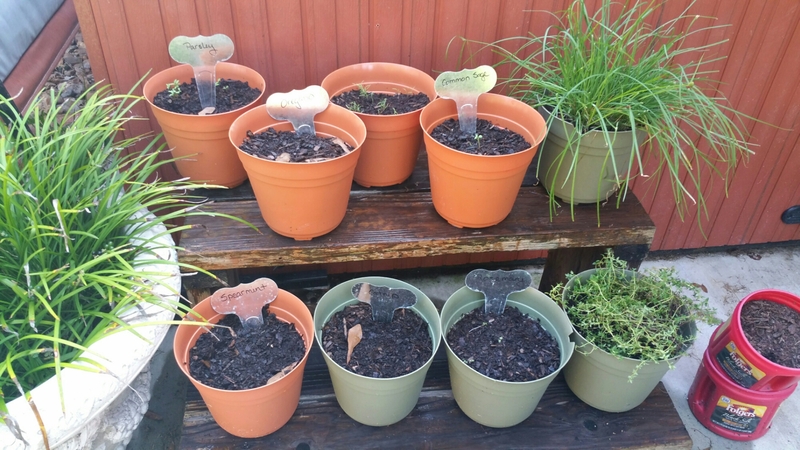 Armed with my seed packets, compost we cooked over the summer and fall, pots, plastic bottles and a whole lot of Pinterest, we started the garden outside the second weekend in February. We started outside because it was already warm out, and our rental house had no sunny windows. Not one. 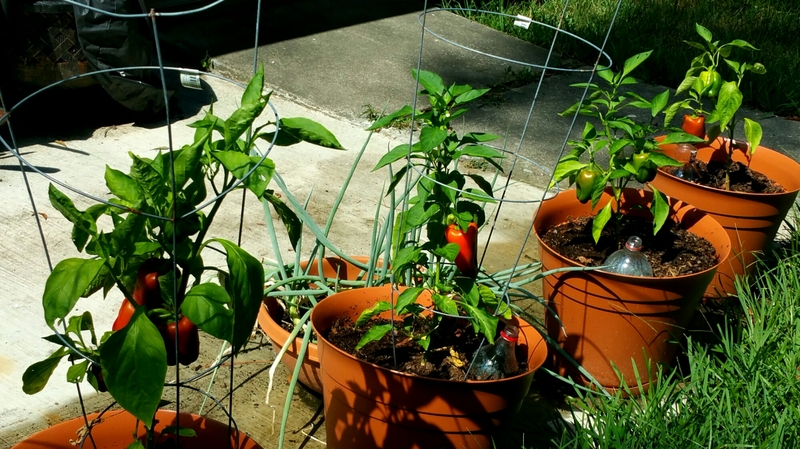 It was great for our summer cooling bills, but bad for plants. Our houseplants hated this place. There were casualties. 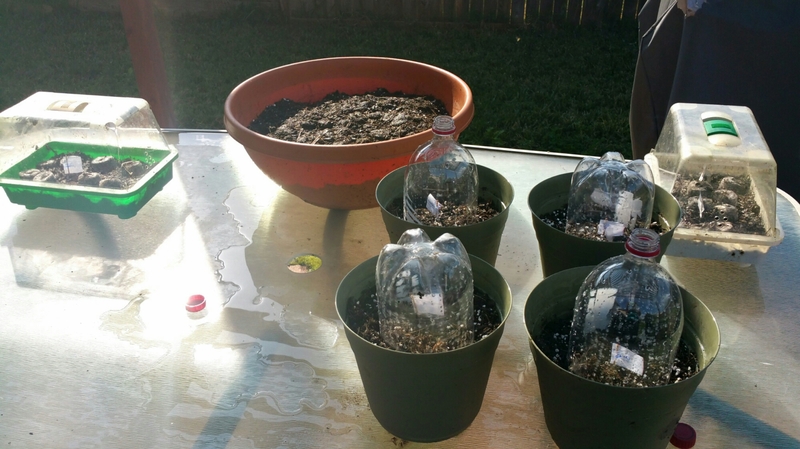 We instead used little seed starting green houses and soda bottles cut in half to cover our pots and protect the seeds from washing out from rain or freezing in a sudden cold snap. We used a soil mixture akin to Mel’s seed starting mix. It was very successful, and our summer garden sprouted and grew. The problem with gardening in a rental home is many landlords frown upon digging up a nice, neat, HOA approved, golf-course-worthy lawn in favor of a dirt square of vegetables. I decided to go around this little obstacle by planting all my seed babies in pots. They were easy to move around and were temporary. I have my garden, the landlord has their lawn. Everybody is happy. 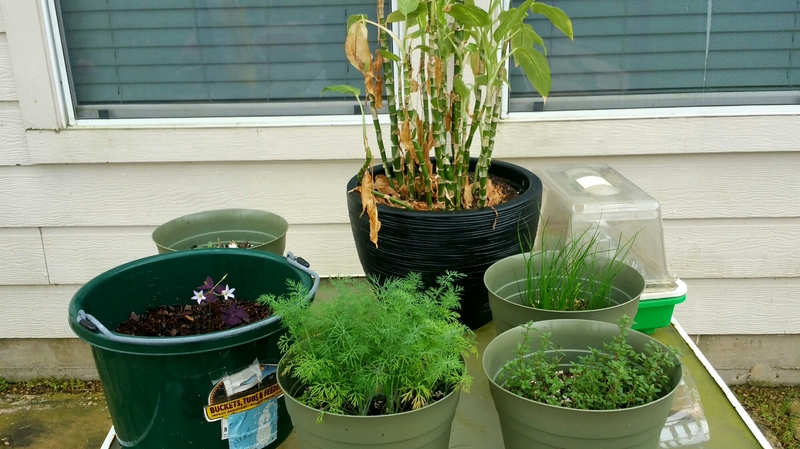 Container gardening is a wonderful alternative to in-the-ground gardening for people who live in places that lack the yard area for traditional gardening, or spaces where raised beds are inappropriate , like my rental house. It is a great solution for apartments, also. 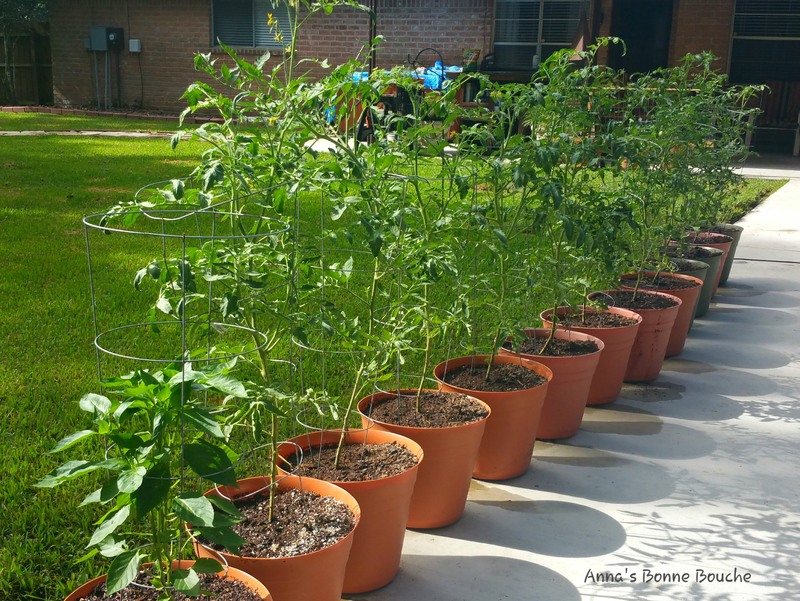 All you need is enough space for a few pots and some good sun. Viola! You have a garden. Extra bonus to the fact that if it fails you can hide it all away like it never happened, and not stare at a barren dirt patch as a permanent reminder of ghosts of gardens past. Our garden flourished a little faster than anticipated. Soon all our outdoor tables were covered in small pots and coffee cans of healthy vegetable and herb plants, and a couple sad houseplants. By March the weather was warm enough to move our sad little houseplants outside for some fresh air and sunshine, also. We hoped they would be encouraged to grow by their leafy sisters. Then the rains came. 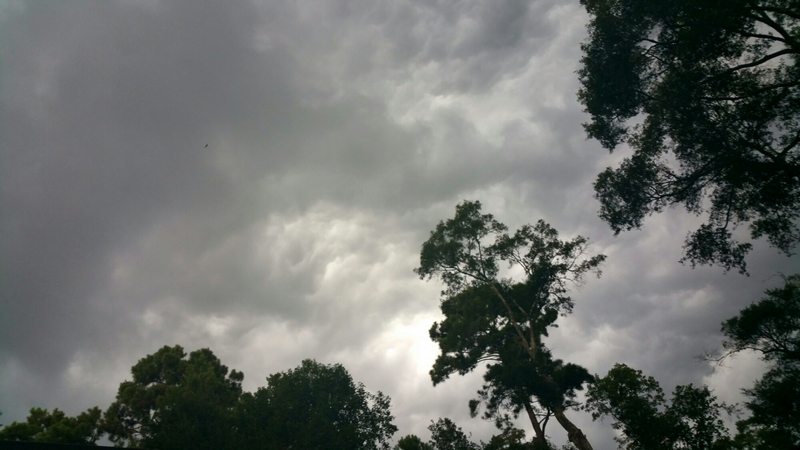 The very day we moved our seedlings from the cramped backyard to their new place, storms rolled in. It had been a wet winter. This was a welcome change to the years of drought we had been experiencing. It had great timing. The rain began to fall just after we had loaded our last box into our pickup, locked the doors for the final time, and said goodbye to our city home. We could not dig a garden plot, nor build raised garden bed in our new place, either. Instead, we went with large pots for our transplants. We filled the bottoms with some rock, then with some homemade Mel’s mix. 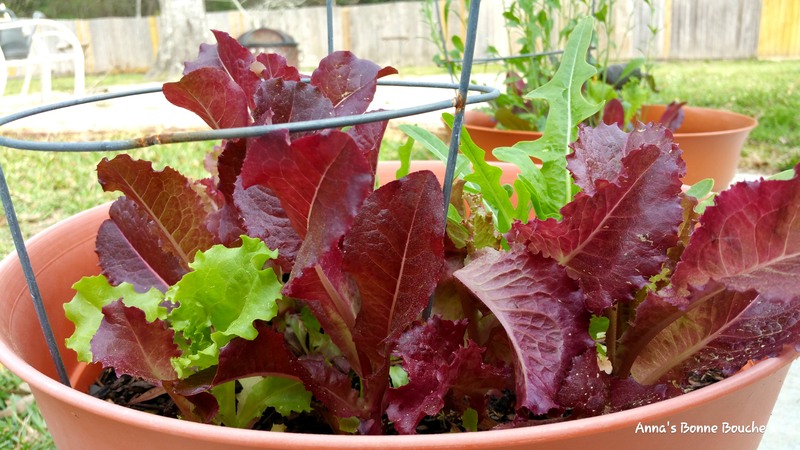 What is container gardening of not extreme square foot gardening, anyway? At least that was the justification in my head. After a couple of hours of filling pots and moving them around to the perfect sunny spots, we were done, and our summer garden was on its way. Then came more rain. 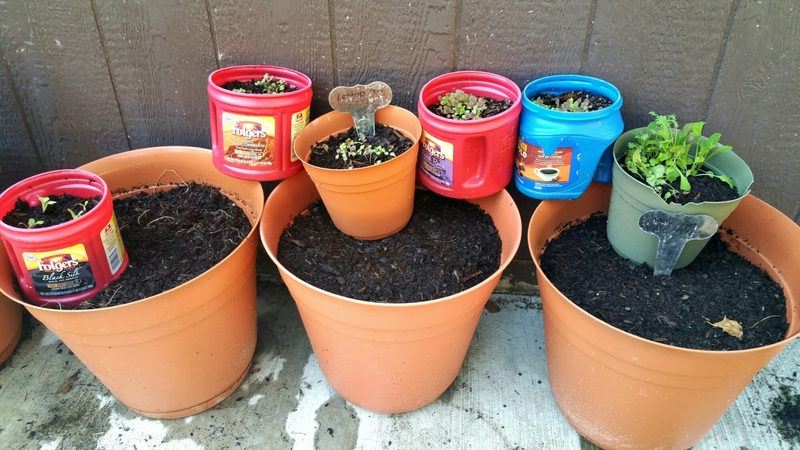 One of the troubles of container gardening is the tendency for soil amendments to wash out of the pots. We had to be diligent in fertilizing and also making sure our plants drained properly. The rains were nearly constant, and the threat of drowning was ever-present in our garden. It thrived, though. 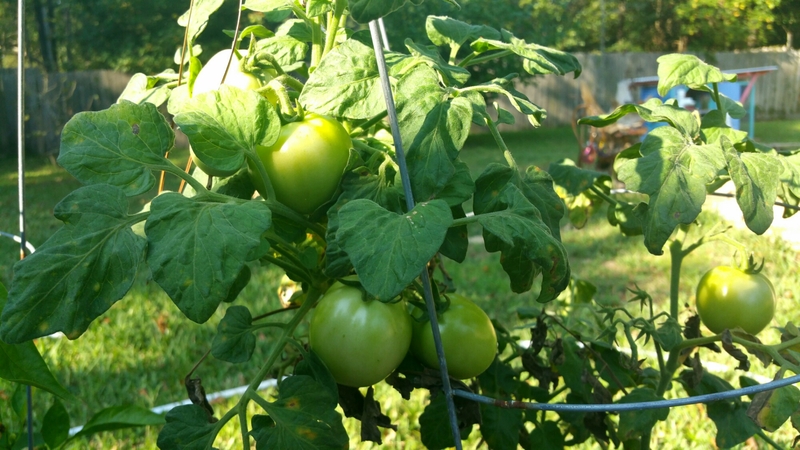 Our bush steak tomatoes performed well from the beginning of the summer. If we could avoid concentric cracks from the heavy rains, they yielded many huge fruit. Our chickens appreciated receiving those tomatoes unworthy of going into our kitchen. Our only issue was fungus. It was a constant battle. Between soil amendments, anti fungal treatments and agressive pruning, we managed to keep it at bay. 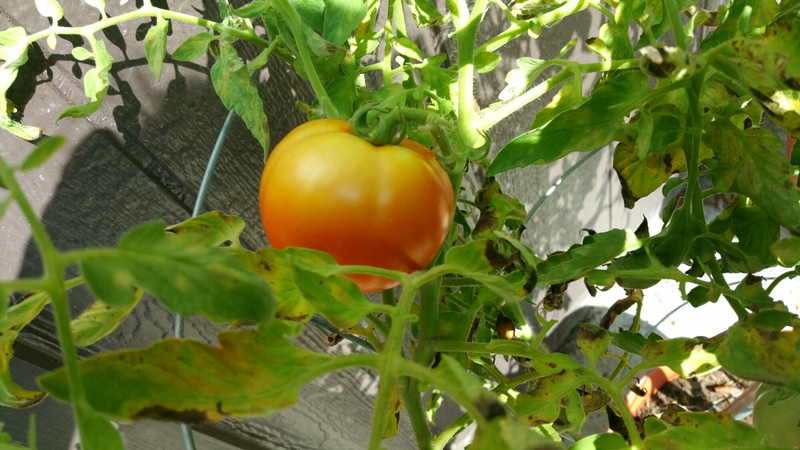 Our patio princess variety tomato did not perform as well. It made a good effort though. The plants were stunted, but yielded some small, sweet fruit. It seemed more resistant to the fungus, but it did not enjoy the rains. Our carnival bell peppers seemed like they didn’t want to grow at all. 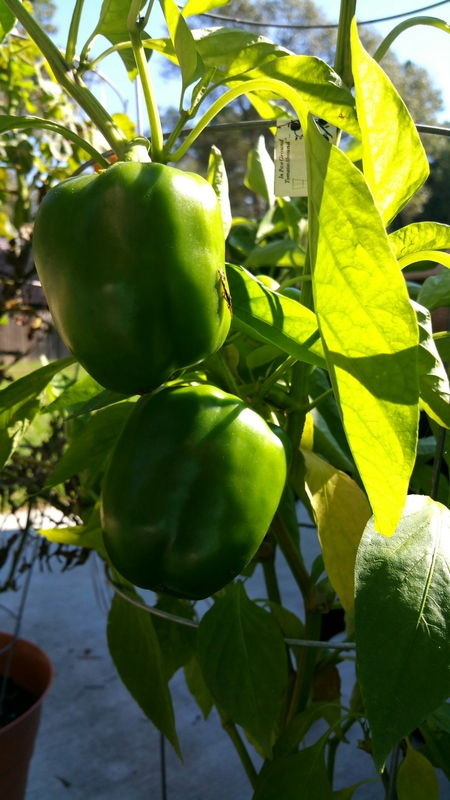 One plant grew and yielded peppers while five others stayed small, almost the size they were when transplanted. 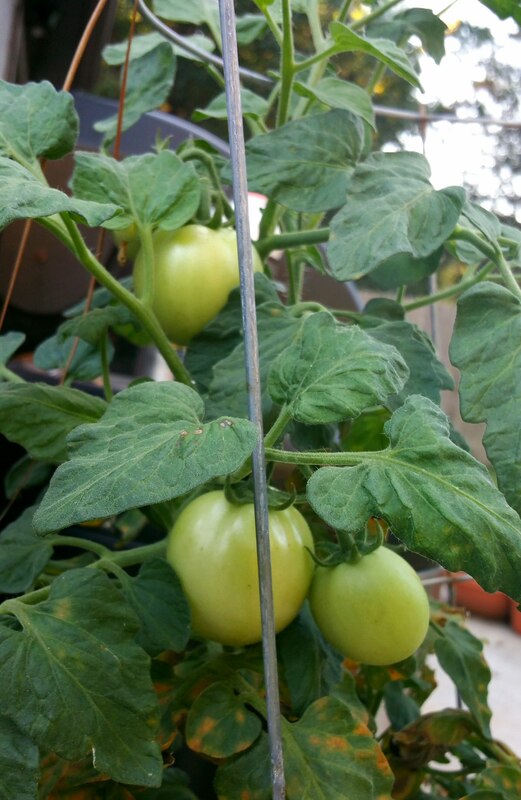 They remained green and healthy, just stunted and no blooms. The herb garden suffered losses. Our dill succumbed to powdery mildew and our rosemary died from too much rain. The thyme and chives, however did much better. 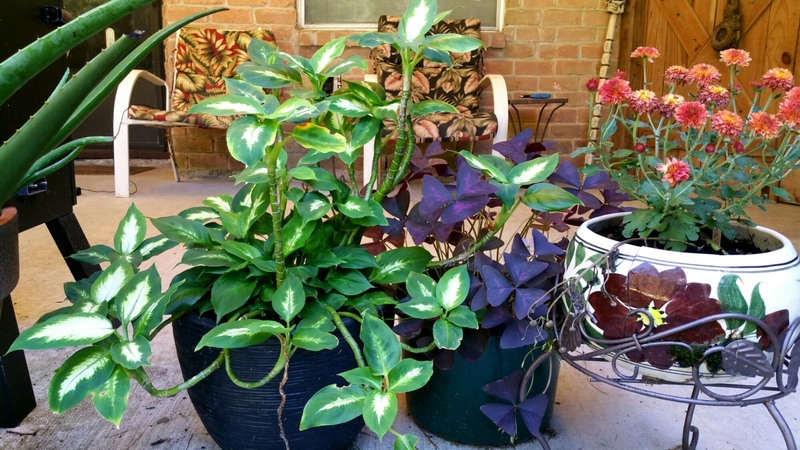 Our houseplants enjoyed the outdoors and grew more than we had ever seen them do in the years we have been caring for them. The sun and rain agrees with them, I suppose. The battle of the fungus raged on, even after the rains began to subside. 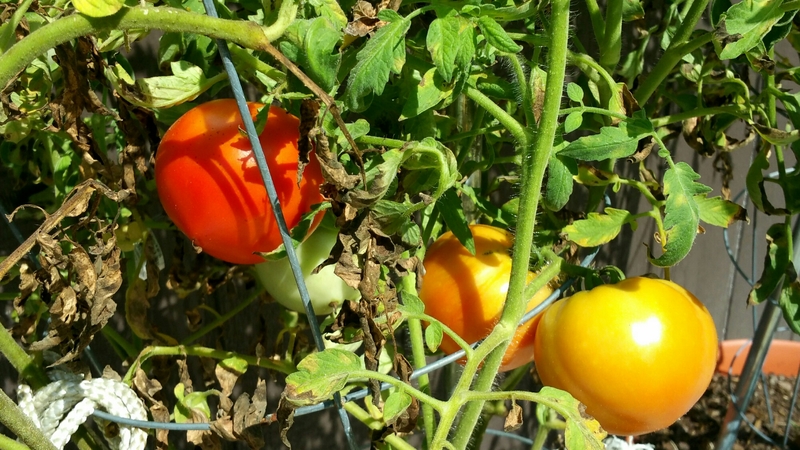 Our bush steak tomatoes kept fighting the good fight, though. They provided a bounty of fresh, sweet fruits all summer. 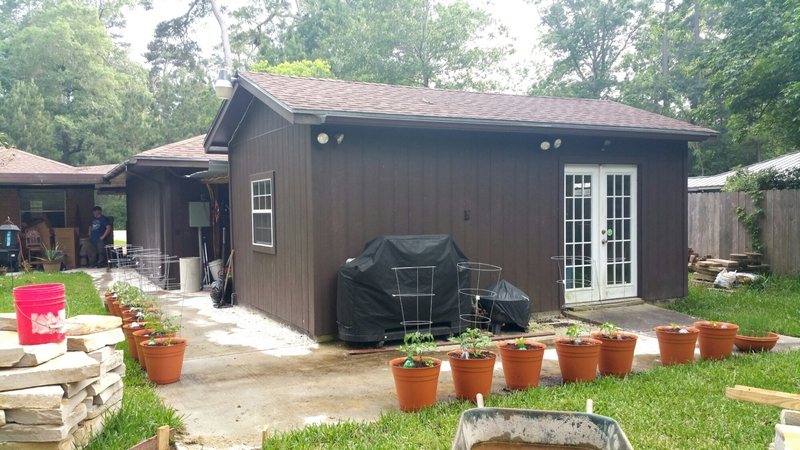 When tropical storm Bill rolled in, we moved our plants under the shelter of the workshop’s eves. Hoping to save them from torrential rain and wind. They made it through, but the fungus battle was taking its toll. 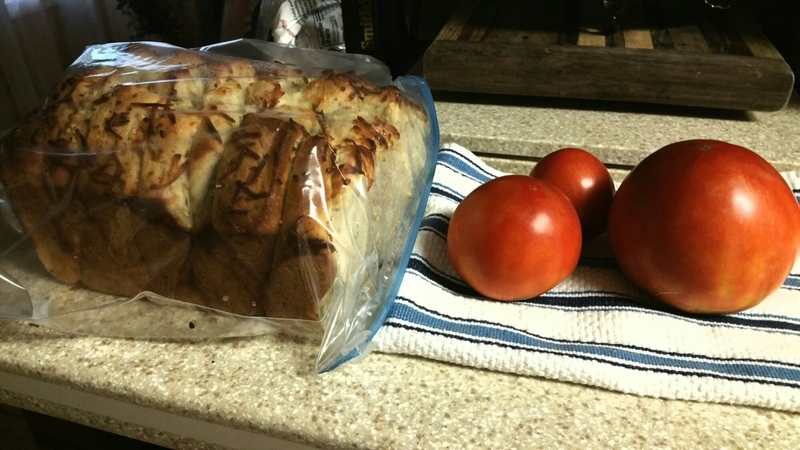 The summer heat arrived and with it some beautiful, not cracked tomatoes . This would mark the end of the Bush steak though. Eventually, they fell to the mighty fungus. We tried to nurse them back, but the 100°F+ weather and raging humidity was just more than it could bear. We had very little trouble with garden pests, to our surprise. 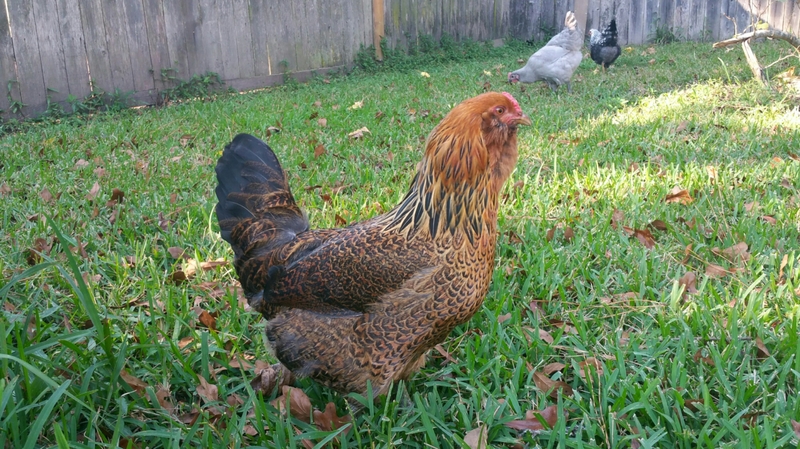 The bugs I found d were few, and we’re punished for trespassing by way of death by chicken. It was a welcome change from the pest heavy garden from the previous year. 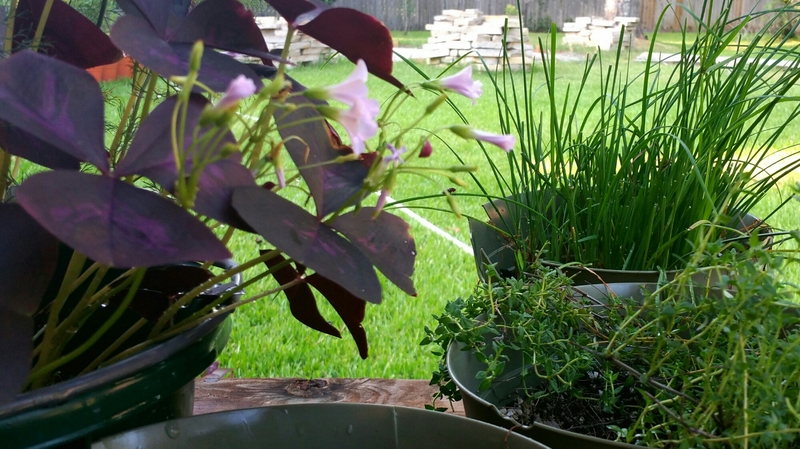 Container gardening has another drawback, the pots get so warm that it cooks the roots of the plants. Keeping them watered was important. Missing so much as a day resulted in droopy plants and dropped fruit. 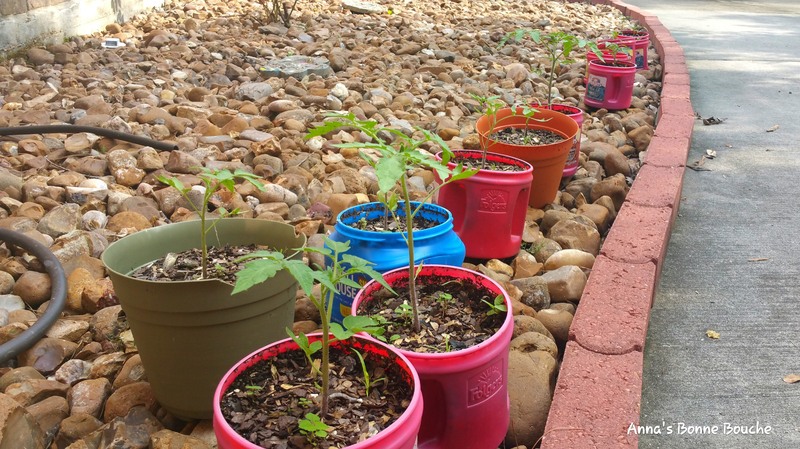 We had used a Pinterest idea when transplanting the garden initially. We used plastic jugs with holes drilled in them in each of our pots, I an effort to hold water in the pots and provide some cooling. My opinion is mixed about this technique. They did hold some water, letting it leach I to the pots more slowly, but not really. It also kept the soil from spilling out of the pots when watering. I do have my suspicion though, that this technique aided the fungus in the battle for the plants. I won’t be trying this again. The peppers were not deterred. They seemed immune to fungus, and kept on keeping on. Aside from some predation by pesky grasshoppers , they have given us enough peppers to use in our daily cooking over the last couple months. 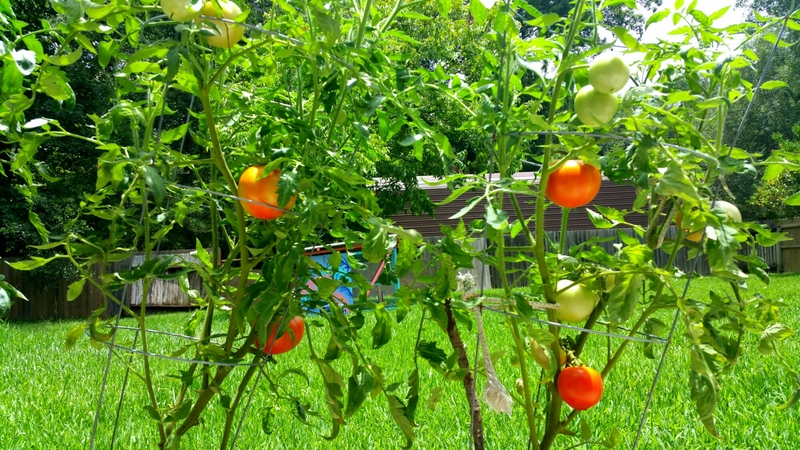 Although the rain and heat were our challenges this summer for the garden, we overcame it. 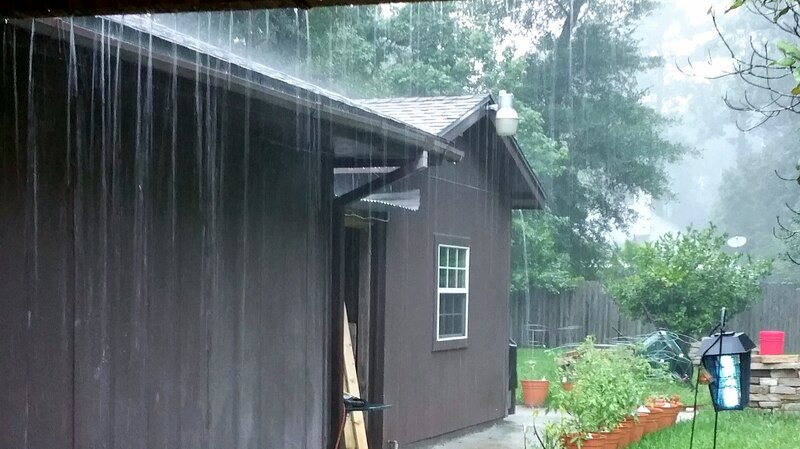 As the sayings go, “Into every life, a little rain must fall” and “If you can’t take the heat, stay out of the kitchen. We must accept that their will be obstacles in life to overcome and challenges that make accomplishing our goals more.difficult. We have the choice of giving up or perseverance. Well, I am.a chef, and the kitchen is where I thrive, heat be damned… and I happen to like the rain. 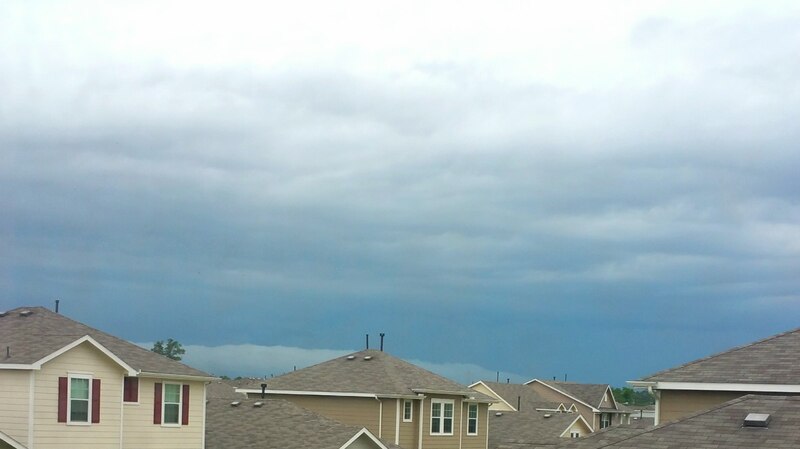 Now excuse me while I pull on my mud boots and go play in some puddles.